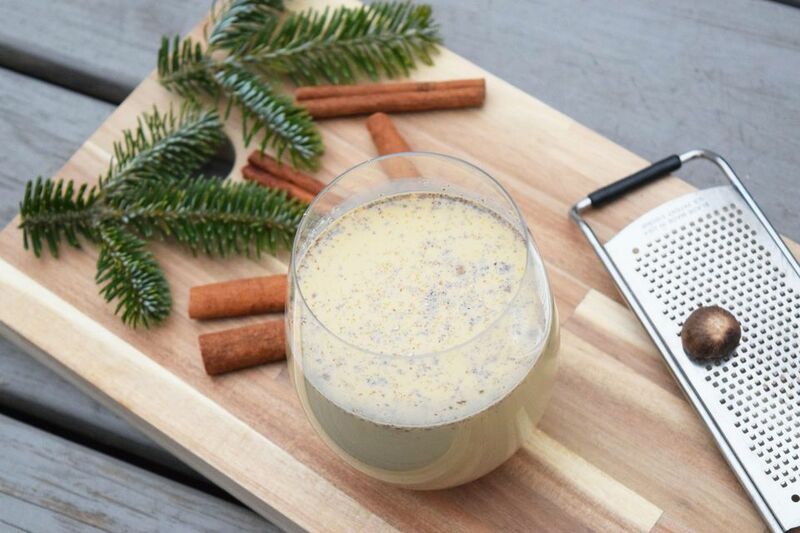 Nog is such a fun word to say, and nog is delicious served for breakfast or brunch. Serve it up to house guests and party-goers! It can also be spiked and served as a cocktail. Just drink it all day, it's the holidays! It is essential to temper the eggs in this recipe carefully. The eggnog can be strained after the egg and milk mixtures have been combined. This will take out any small lumps that may have formed. This eggnog can be kept in the fridge for up to 5 days. It is a great idea to make it well ahead of time as the flavor intensifies the longer it sits! After you have separate the egg yolks from the whites, add the yolks into a medium-sized bowl. Add in the sugar. Begin whisking until the mixture is a light yellow and looks creamy and smooth. This can also be done with a hand mixer or stand mixer. Place the cinnamon stick in the milk. Heat the milk on the stovetop in a large saucepan until just simmering. One cup of the milk can be replaced with heavy cream. This will create thicker eggnog. Add the spices, vanilla, and molasses. Carefully ladle a small amount of the hot milk mixture into the egg mixture, constantly whisking as the milk is poured over the eggs. This will temper the eggs, so they do not scramble. Repeat 2-3 times. Place in a large glass bowl and cover. Chill for at least four hours. Mix in the rum when the mixture has chilled.